With the hot summer days just around the corner, it’s good to know where the water parks in Illinois are… Here is a list of fun and exciting waterparks that your kids will love! These are all within an hour’s drive of DuPage County. 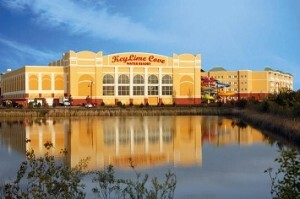 KeyLime Cove in Gurnee features a 65,000 square foot indoor water park called Lost Paradise. 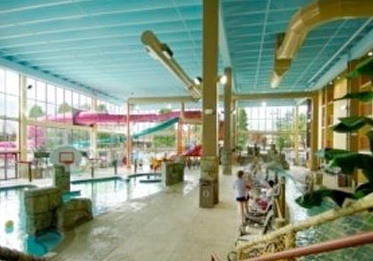 This is one of the largest indoor water parks in Illinois! The water park maintains a constant 82-degree indoor temperature to ensure the summer-like comfort of their fun-seeking guests. The water park is open from 10AM-9PM, Monday through Friday, and 9AM-9PM on both Saturday and Sunday. In addition to the water park, KeyLime Cove has 414 guest rooms that can sleep anywhere from 2 to 12 guests depending on your room choice. There is an onsite arcade center and onsite dining options. Visit the KeyLime Cove website for more information and reservations. The Mayan Adventure Water park is an indoor water park attached to the Waverton Hotel in Elmhurst. It may not be the largest water park in Illinois (though it’s not small), but is probably the most convenient to get to in DuPage County. Mayan Adventure Waterpark is a great place to go for a quick family getaway. Because it is so close, you can spend more time in the water, and less time driving. The indoor water park maintains a constant 82-degree temperature that is sure to give you a warm, tropical feeling even on the coldest of winter days. Day passes and overnight packages are available depending on how long you wish to splash around. Mayan Adventure can even play host to your child’s next birthday party. For more information, visit the Mayan Adventure website. Raging Waves has partnered with Timber Creek Inn and Suites (also in Yorkville) to provide overnight accommodations to water park guests. In addition to Timber Creek, there is a Hampton Inn nearby that is an additional option for waterpark visitors. Here is a detailed Raging Waves review. Visit the Raging Waves Waterpark website for more water park information. 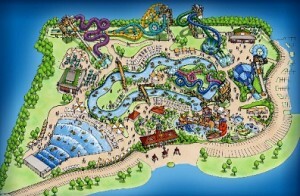 Check back soon as more water parks are sure to be added to this list!